Grants received in 2018 are listed here. Thank you! Without your generosity we would not be able to help make a meaningful difference in the end of life journey for hospice and palliative care patients and their families in our community. 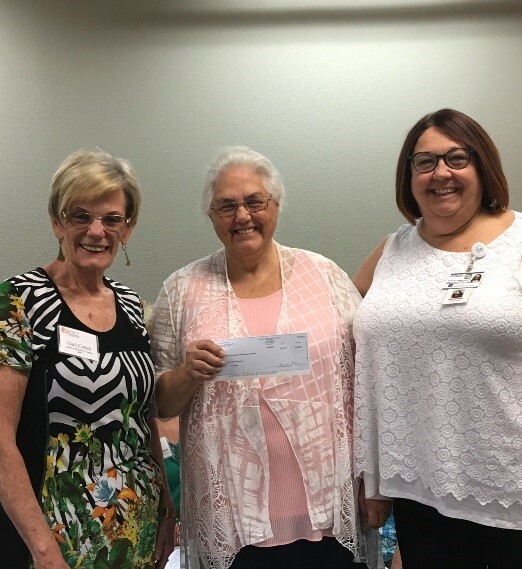 Friends of Hospice SW Washington was excited to receive a $2,925 grant from the The Byrd Family Fund. Friends of Hospice SW Washington was excited to receive a $5,250 grant from the Price Foundation (www.pricefoundation.net) to support the No-One Dies Alone Program. Thank you, Kay Dalke-Sheadel, and the Price Foundation for your generosity!